The tendons in our bodies are crucial to movement. These tough, fibrous, and flexible tissues attach our muscles to our bones and work together with muscles to exert the pulling force that allows our hands, arms, feet, and legs to move the way they’re supposed to. Tendons have a hard job and they can usually stand up to the constant work they have to do. Sometimes, though, they can cry “uncle” when the stress and strain become too much. They do so through inflammation and pain. This inflammation and pain are called tendonitis, and it manifests itself in such conditions as “tennis elbow,” “pitcher’s shoulder,” “jumper’s knee,” and, of course, Achilles tendonitis. The Achilles tendon is the large tendon at the back of your ankle and is the largest tendon in your entire body. It connects the back of your lower calf muscles to your foot, providing power when you are pushing off while walking or running. Achilles tendonitis, also called Achilles tendinothapy, is usually the result of overuse, such as training too hard without giving the tendon time to recover from the strain put on it. It can be exacerbated by other factors, such as poor footwear, soft running surfaces, or running uphill for extended periods of time. Additionally, weak calf muscles, poor range of motion in the ankles, and excessive pronation have all been associated with Achilles damage. The word damage is appropriate, because Achilles tendonitis isn’t just pain or inflammation, as the suffix “itis” usually implies. Achilles tendonitis involves actual damage to the fibers in the tendon. As we age, we become more prone to such damage. pain relievers such as ibuprofen, available over-the-counter (OTC) or online. Perform ankle strengthening and mobility exercises. Exercise – and stretching before doing so – can help strengthen the muscles around the tendon and reduce the chances of further injury. Warming up and cooling down after workouts and avoiding repetitive movements can also minimize the likelihood of swelling and inflammation. 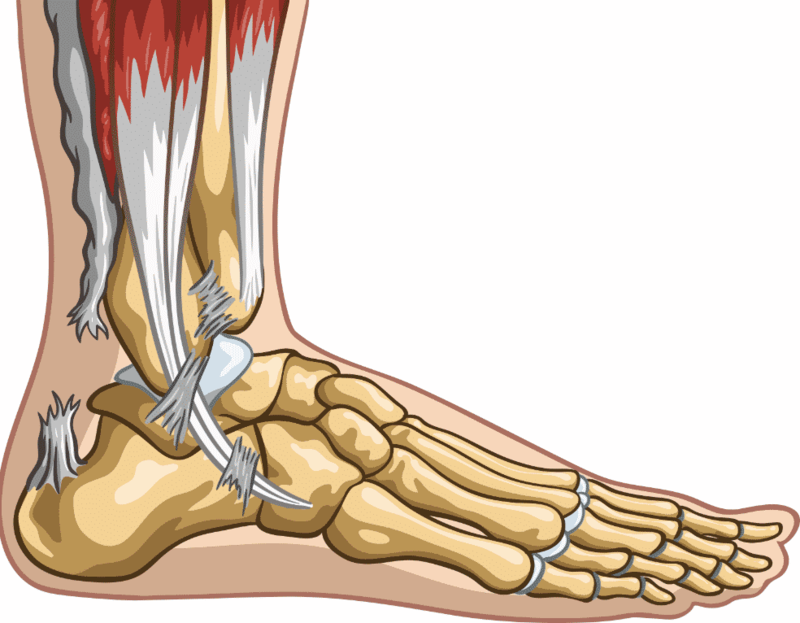 If you are experiencing pain, swelling, or other problems with your Achilles tendon, please schedule an appointment with the committed foot and ankle specialists at JAWSpodiatry in Hollywood, Florida. We know how painful and frustrating such problems can be and we use the most advanced and non-invasive techniques to reduce foot and ankle pain and speed recovery. Please call us today at (954) 922-7333 or contact us online to schedule a consultation.